The simultaneous holding of the seminar and festival Youth in Action has achieved the objectives set by combining the academic with a sample of artistic work carried out with over 2,000 young participants in this project for Arts and Culture for community development. Roeland van de Geer, Head of the Delegation of the European Commission, co-funder of the project, said during the opening of the seminar the positive impact that the action is having on communities and the energy of the youth. About 70 people participated in the seminar, among academics, professionals, politicians, donors and others reflected on the value and importance of culture in community development. Among the speakers were found Alfons Martinell, Head of the UNESCO Chair in the Girona University, partner of the project, Jerry Mabuza, chairman of GOMACC also project collaborator, Lucina Jimenez, president of the Centre for Communication, Culture and Art; Munyaradzi Chatikobo, director of the 'Drama for life'; Yvette Hardie, vice president of Arterial Network, and Paula Moreno Zapata, Manos Libres Foundation. 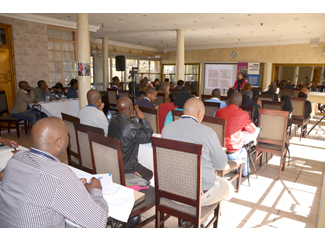 Throughout the workshop arose an analysis of the integration of cultural activity and progress of communities and how South Africa is directing its policy in this regard. 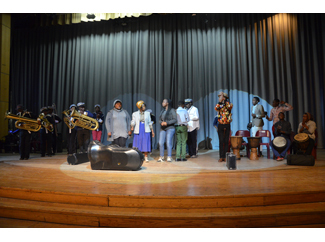 Alongside the festival was held, in which took part in one way or another the 2,484 youth from Durban and Westrand involved in the project. They once again showed his creative and his desire to express themselves through poetry, theater, dance or music. Around a thousand spectators enjoyed the talent and energy of the boys and girls participating. Art and culture have proven to be a powerful lever to facilitate progress of the communities involved, to promote the mobilization of over 58,000 people. At the same time, it has facilitated dialogue between project leaders, local authorities and representatives of the Departments of Arts and Culture involved, thereby achieving progress in areas such as education, health conditions and respect for the environment. Watch the interview held by Girona TV to Gemma Carbó, Unesco Cultural Policies and Cooperation Chair Coordinator from Girona University, who participated in the seminar.